Blog posts for category "Group Fun"
Don&apos;t Miss Your Last Chances To Zipline! All good things must come to an end, and here at Smoky Mountain Ziplines, we&apos;re looking at wrapping up our 2018 season within the next few weeks. 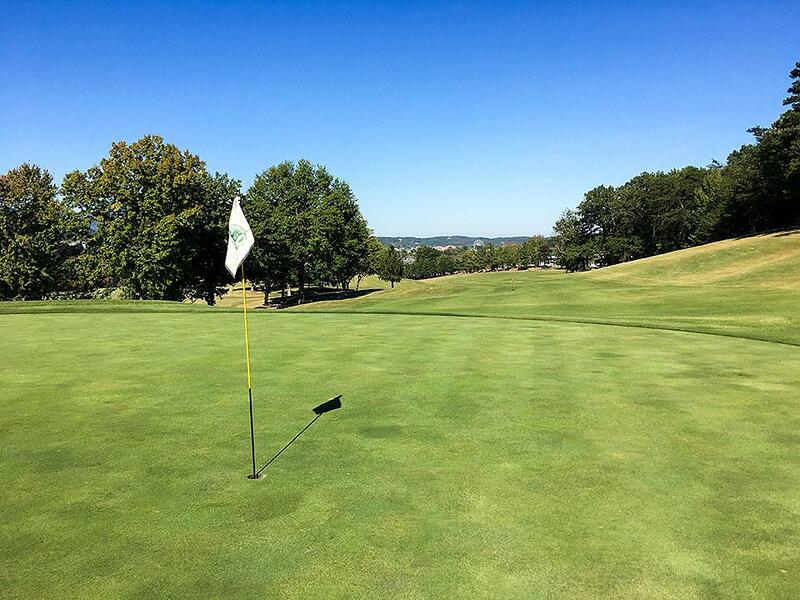 It&apos;s nice out now, but soon, the weather conditions will get to the point where it&apos;s not feasible for us to stay open; it&apos;s just about that time of year when folks start to shy away from outdoor activities. In the meantime, however, we encourage you to take advantage of these beautiful fall days and come spend a few hours on our ziplines in the Smoky Mountains. If you&apos;re reading this blog, chances are you&apos;re probably either a previous customer of Smoky Mountain Ziplines or you&apos;re very interested in visiting our zipline in Tennessee in the near future. In either case, you probably already have a pretty good idea that you&apos;re going to have a great time. The witching hour is drawing near, and within just a few days, Halloween will be upon us. 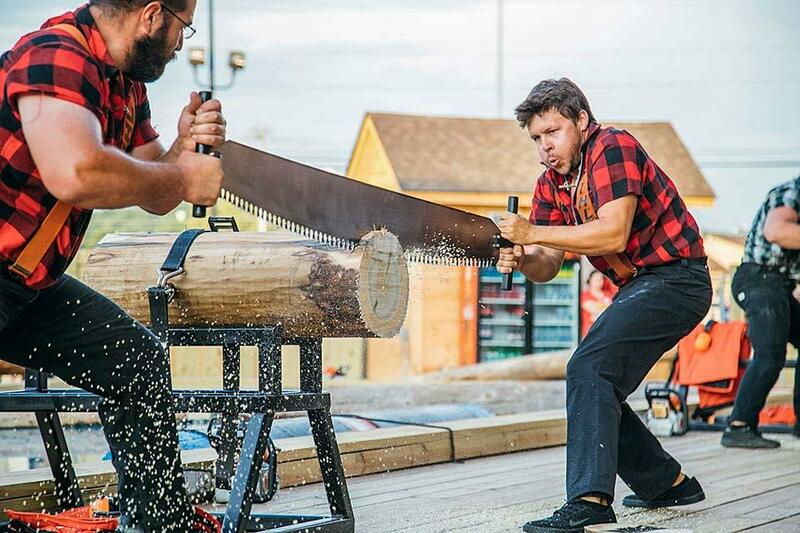 If you happen to be visiting the Great Smoky Mountains that night or any time between now and then, there are several things you can do in the area that will help you get into the, um, spirit of the celebration. If you don&apos;t currently have plans to visit the Smokies in the next few weeks, you might want to give that some consideration. Now that schools are back in session, weekday visitation has dropped off a good bit, which means the shops and attractions and restaurants aren&apos;t as crowded, and it&apos;s a good bit easier to get around town. Last week, we talked about a web article entitled The World&apos;s 6 Most Insane Ziplines, and we presented thumbnail descriptions of three of the attractions, which are located all over the globe. This week, we&apos;ll close it out with information about the other three places for extreme zipline fun. It seems now that ziplining has really caught on worldwide, zipline operators are in a never-ending competition to one-up the next guy. Here&apos;s the latest example we found while scouring the Internet. One zipline outfitter in Nepal (you know, the country where you&apos;ll find Mt. Everest) has literally taken the activity to new heights by opening a line that&apos;s a mile long and offers a vertical drop of nearly 2,000 feet during that span. If you&apos;re looking for a truly outstanding Smoky Mountain zipline adventure, you&apos;ll want to spend a few hours on one of our canopy tours. Why? Smoky Mountain Ziplines has been awarded tripadvisor.com&apos;s Certificate of Excellence for the past two years. 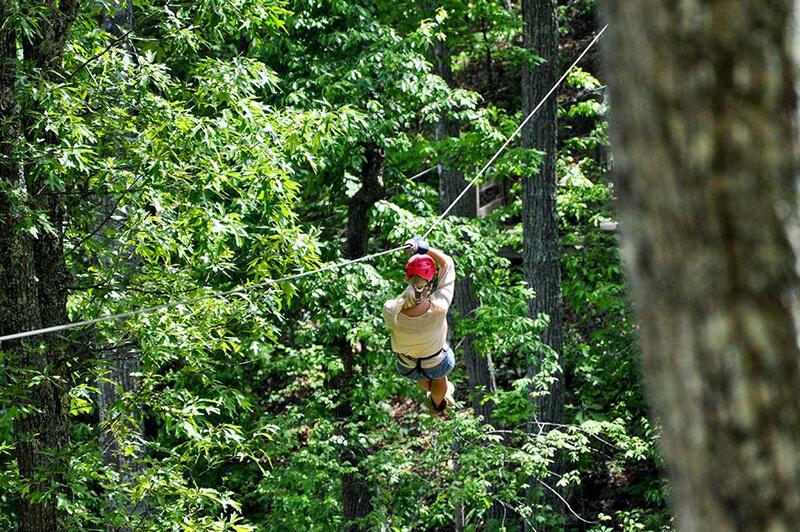 Smoky Mountain Ziplines Is Kid-Friendly! Ziplining is one of the most in-demand activities for families looking for fun and excitement in the Great Smoky Mountains. But if you want a zipline experience that&apos;s truly enjoyable for just about everyone in your family, you won&apos;t find it in Sevierville or Gatlinburg. 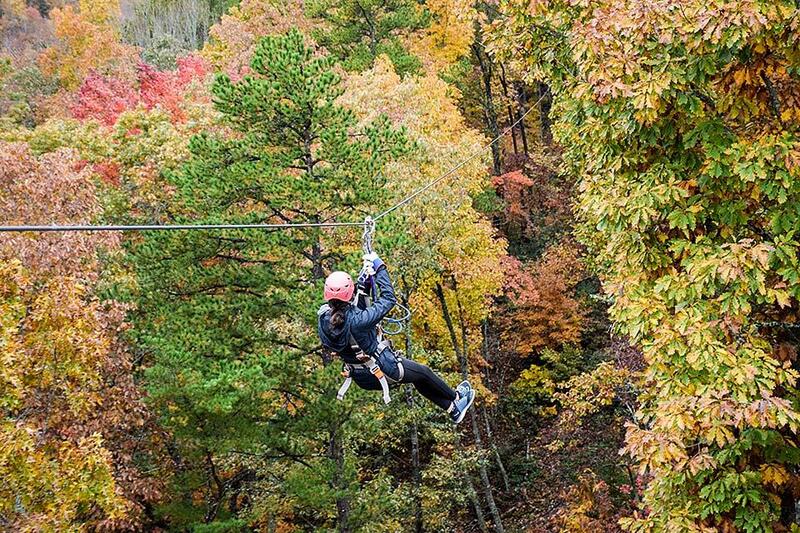 Zip line adventure at its best awaits you at Smoky Mountain Ziplines in Pigeon Forge. Music theaters and fun museums are nice, but for some folks visiting the Smokies, nothing short of an adrenaline rush will do the trick. There are several attractions in this area that will help you get that thrill-seeking fix, and no previous experience is necessary. It&apos;s no understatement to say that there are enough things to see and do in the Great Smoky Mountains to fill up weeks and weeks of vacation time. Sometimes the challenge becomes narrowing down all those choices and picking just the right activities for you and your family. 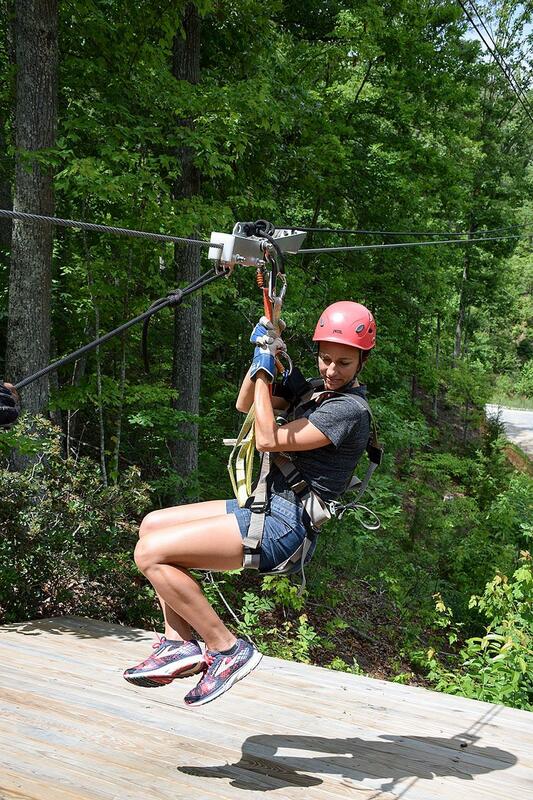 Hooking yourself up to a zipline that&apos;s suspended high in the air and speeding from tree to tree like a bird is truly one of the most adventurous and memorable experiences you can have in the Great Smoky Mountains. While the Smokies offer a lot of different ways for folks to have fun, sometimes it&apos;s easy to get lost in the shuffle of all the attractions, theaters, restaurants and shops. Those things are great, but sometimes visitors to the area fail to see the forest for all the trees. In other words, it&apos;s too easy to overlook the Great Smoky Mountains, even though they&apos;re pretty hard to miss! Are you having trouble unplugging the kids from their cell phones and iPods this summer? Are you considering having them surgically removed from those video-game controllers and TV remotes? If so, then you&apos;re family may be in need of a zipline intervention. And when it comes to getting the whole gang together for some family fun time, our Pigeon Forge ziplines are definitely what the doctor ordered.